What a way to start the trip! Marcelo Retamal is a pioneer in Chile. 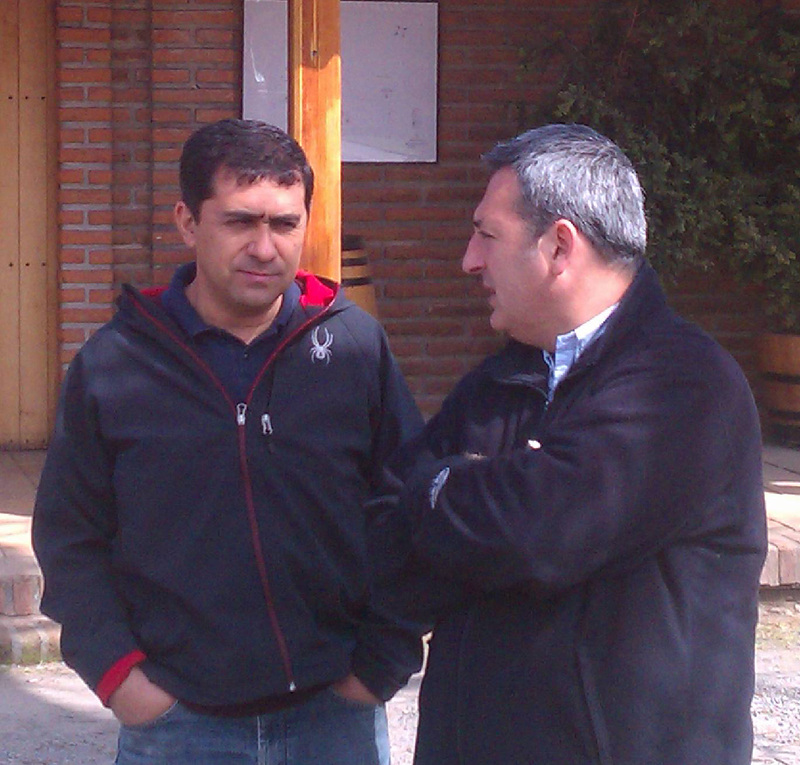 He very much respected among the Chilean winemakers because of his philosophy. Marcelo is looking backward to move forward. He is focused on making wines as they did in the old world, based on the terroir and climate. He has chosen to make wines that show a sense of place. The Carignan is planted in schist soils like in Priorat. 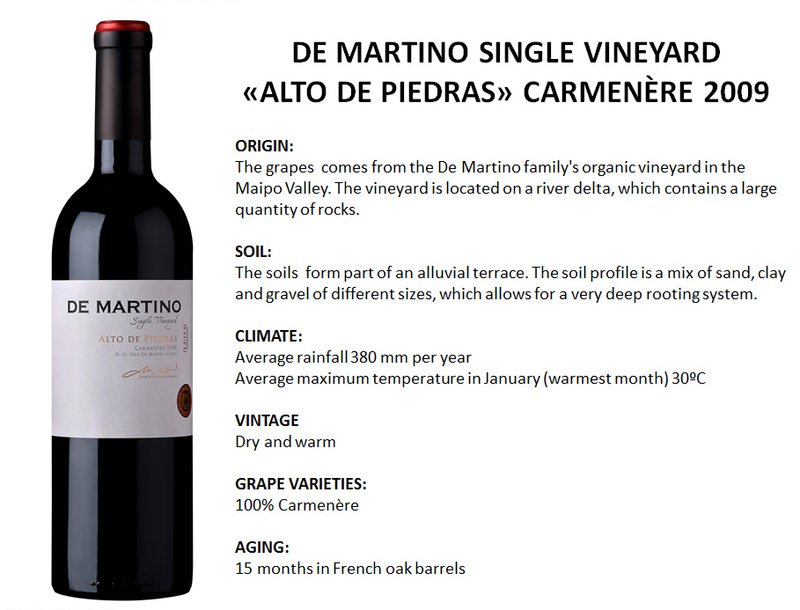 The Carmenere in alluvial soils with long hang times to eliminate that green pepper aroma. 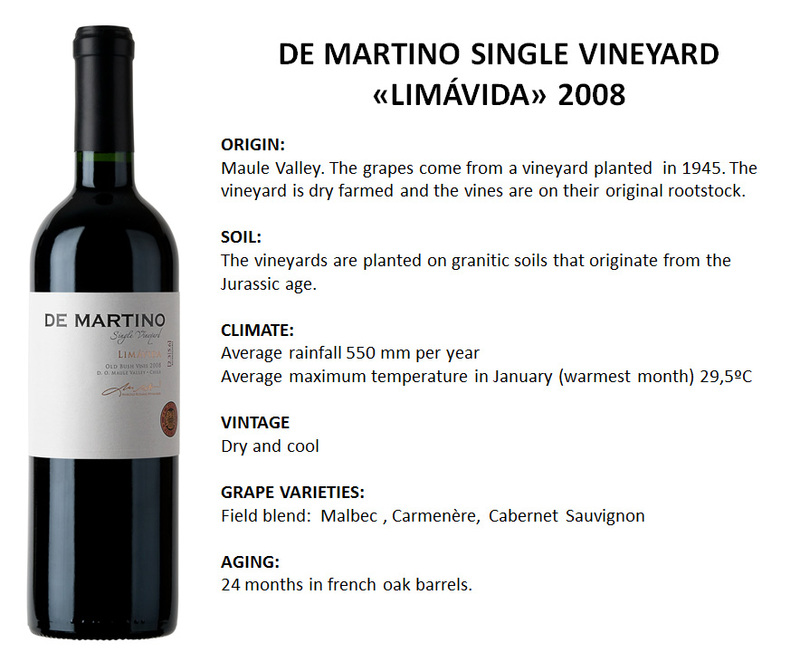 And his red blend, “Limàvida” is a real field blend. The grapes are planted in the same vineyard and harvested at the same time, all the time showing us what the vineyard tastes like. That evening, after the seminar. 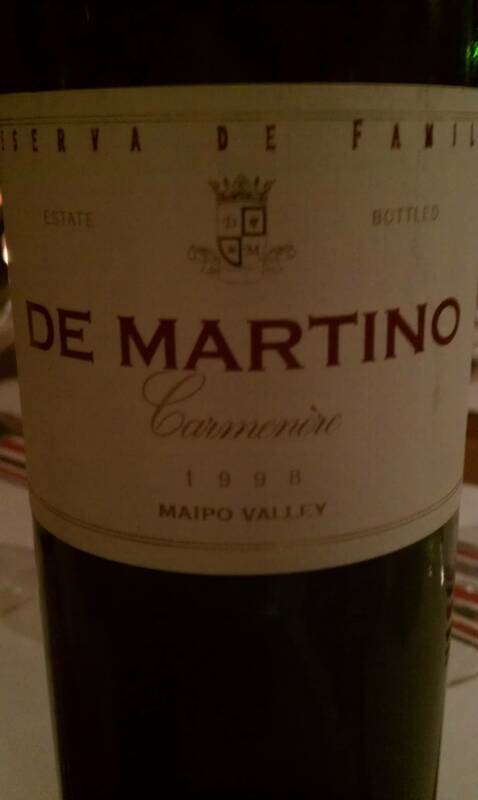 Marcelo took us to a small local wine bar where he shared his 1998 DeMartino Carmenere over a charcuterie plate. At this point I knew that for the next ten days I was in for a treat. This wine aged extremely well. The nose was that of a Bordeaux; aromas of hay, earth, plums with extreme elegance. When I tasted their new releases alongside other Chilean wines of the same grape or region, they kind of under performed. The use of oak is minimal and they seem to be a bit tight. However, Marcelo is not making wines to drink now, they are intended for aging. That is something that very few people are doing anywhere today. It is refreshing to see a winemaker that makes wine for wine sake and not for the market. I am looking forward to seeing “las Cruces” Malbec/Carmenere a few years down the road. The “el Leon” Carignan in 2013, when the tart red fruit mellows out and the minerality of the slate starts to pop out.